Hevron Jewish community welcomes granting of municipal status, move away from dependence on PA municipality for basic needs. 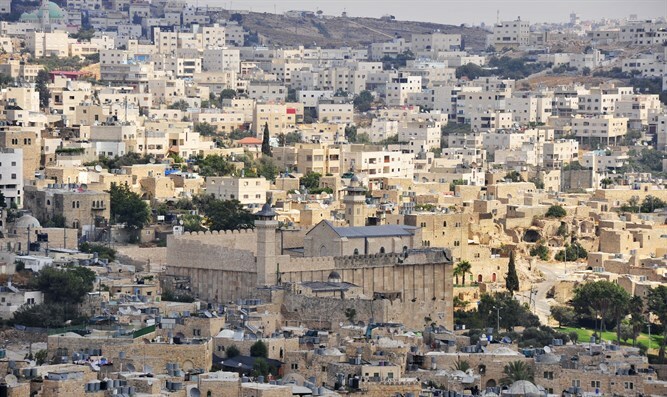 Noam Arnon, the spokesman for the Jewish community in Hevron, responded to the decision to grant the community municipal status, a move which will give the Jewish community in the city of the patriarchs a new level of independence. “Since the Oslo Accords and the Hevron Agreement, we were the only Jewish community that receives services from a Palestinian city. There were periods when we received water and electricity from the Palestinian Authority. Today we receive the water from Kiryat Arba,” Arnon said in an interview with Arutz Sheva. “Seventy-five families live here today, and we hope that the settlement will grow. According to the Oslo Accords and the Hevron Agreement, the Jews of Hevron live on only three percent of the area of ​​Hevron, and today the Jews deserve to build in Hevron, of course, within the Jewish property lines.